Certain creatures laid eggs that were able to endure the dry season. Others survived by burying themselves in mud, simulating death, waiting for the return of rain. Already I could sense the themes and this was validated in the following chapters; connections between brothers, the differences between them when they plant themselves in different environments, etc. The setting starts out in a suburb of Calcutta but moves to the US. The history at this point involves the communist uprisings in southeastern India circa the 1960s – near Naxalbari. The main characters are two brothers, Subhash and Udayan, who are very different from each other. The former is the elder, very cautious and circumspect while Udayan is younger, more impulsive and daring. Both are very intelligent. The story concerns their very different paths in life. I’m a bit reminded of The House of Blue Mangos by David Davidar which takes place in the same area, the land of tea plantations, but during a previous era. That time it was three brothers taking different paths. 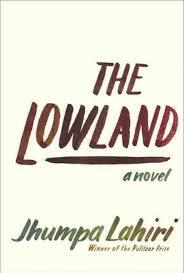 Lahiri writes way beneath the historical and plot level though – she grabs characters and forms them, themes and metaphors evolve in her hands. We’ll see. I’ve read Lahiri’s story collections and novels – very much enjoyed them all.